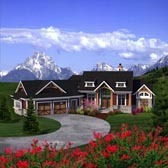 This country style ranch home includes all new home needs. 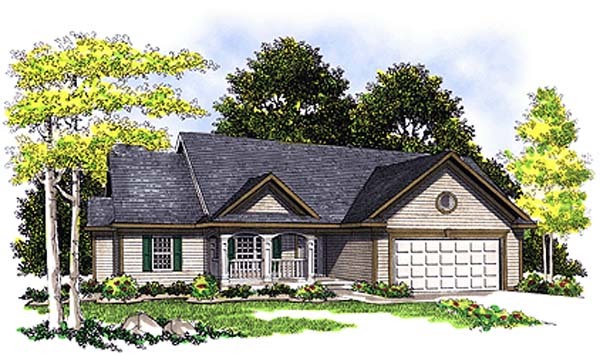 From the large covered front porch to the vaulted foyer, you will love what this has to offer. The large Great room has a vaulted ceiling, center fireplace, and large windows to let in plenty of light. Directly off the Great room, an arched soffit welcomes you into the dining room for holiday meals. The kitchen includes lots of cabinet and counter space, and direct access to the dining room and nook areas. The laundry room is just off the kitchen and garage and leads to the two-car garage. 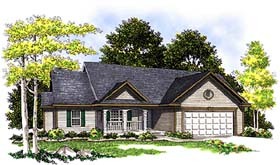 The master bedroom has a walk-in closet and private full bath. Two bedrooms share a full bath and a linen storage.